Kidney stones are very common problem in India and around the globe. It can occur in all age groups. Recently a survey reported that a lot of women in India are suffering with kidney stones during pregnancy. Hence we decided to do this blog on Indian Diet Plan for Kidney Stones. Read on to know about what should be your diet for renal calculi. According to national kidney foundation a kidney stone is a hard mass that forms from crystals in the urine. Nephrolithiasis is the medical term for kidney stones. Natural chemicals in the urine generally stop stones from forming. Abnormality in this function leads to a kidney stone. A kidney stone may be the size of a pinhead or it can be as large as a grapefruit. It can obstruct the urinary pathway causing acute pain and bleeding or blocking the flow of urine. Calcium: Calcium stones are the most common. They can be made of calcium oxalate (most common), phosphate, or maleate. Uric Acid: This is more common in men than in women. They can occur in people with gout or those going through chemotherapy. This type of stone develops with acidic urine. Struvite: Mostly found in women with urinary tract infections. These stones can be large and cause urinary obstruction. These stones are caused by a kidney infection. Treating an underlying infection can prevent the development of struvite stones. Cystine: Cystine stones are rare. They occur in both men and women who have the genetic disorder cystinuria. With this type of stone, cystine — an acid that occurs naturally in the body — leaks from the kidneys into the urine. 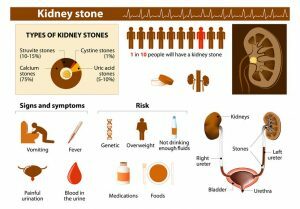 How to Treat Kidney Stones ? Before we see the general Indian Diet Plan for Kidney Stones, Let us first see the treatment for kidney stones. he treatment for kidney stones varies depending on the type of stone and the cause. Drink 2 – 3 litres of water. Pain relievers for mild discomfort with kidney stones. Alpha blocker is prescribed. It relaxes the muscles in your ureter, helping you pass the kidney stone more quickly and with less pain. Use of sound waves to break up stones known asextracorporeal shock wave lithotripsy (ESWL). It breaks the stones into tiny pieces that can be passed in your urine. Surgery to remove very large stones in the kidney, percutaneous nephrolithotomy. Using anureterscope to remove stones. It breaks stones into pieces which passes in the urine. Parathyroid gland surgery in certain cases which is caused by overactive parathyroid glands. Indian Diet Plan for Kidney Stones comprises of various Home remedies from our ancient Indian books. some of the most beneficial home remedies for kidney stones are mentioned below. Pomegranate is highly astringent in nature. Drink a glass of its juice daily or add them to salads or toast. Boil two figs in a cup of water for 15-20 minutes and drink it on an empty stomach early in the morning. High consumption of animal protein can lead to kidney stones. Switch to plant-based protein diet. Add chia seeds, spirulina, green peas, beans, sprouts and soy to your diet. Horse gram dal helps in breaking down bigger stones and then washing them away through urine. Consume 50 – 60 gm kulith dal 2 times a day to treat your kidney stones and avoid the re-occurrence. This is a medicinal plant and very commonly found in India. It helps tremendously in breaking the stone and in eliminating these stones from the body. It is highly anti – inflammatory and antimicrobial and thus helps in Kidney stones and Urinary tract infections. Yes , It is mentioned in our ancient books and Ayurveda swears by it. Banana Stem juice really helps in reliving your from the pain of kidney stones and helps in eliminating it. Insoluble fiber reduces calcium in the urinary tract and binds it to the intestines. Thus calcium is less available to make kidney stones. Include fiber rich whole grains, legumes, fruits, oats, millets and vegetables. Beware of the high levels of oxalate in vegetables which is the one of the major causes of stones. Let’s check the list of high oxalate foods. What should I drink for kidney stones? For all kidney stones drink plenty of fluids, unless you have kidney failure. Water helps to dissolve kidney stones fast. The darker the colour of your urine, the more water you need. When your urine is clear or light coloured, you know you’re getting your water right. Consume at least 8 – 10 glasses water daily. What is the best thing to eat when you have kidney stones? Oxalate management is proportional to urine oxalate. So here is a sample of Indian Diet Plan for Kidney Stones. This plan was made to help you understand how you can use the above mentioned foods and home remedies in your daily diet to get rid of Kidney stones. So here it goes , Indian Diet Plan for Kidney Stones. OR – Eat 4-5 Patthar chatta leaves. What foods to avoid if you have kidney stones? Reduce oxalate intake:The list is mentioned above. Reduce sodium: It is a part of salt. Sodium is in many canned, packaged, and fast foods. Look for foods labelled: sodium free, salt free, very low sodium, low sodium, reduced or less sodium, light in sodium, no salt added, unsalted, and lightly salted. Check for hidden sodium, such as sodium bicarbonate, baking powder, disodium phosphate monosodium glutamate, or MSG, sodium nitrate or nitrite. Get enough calcium from foods: In the right amounts, calcium can block other substances in the digestive tract that may cause stones. It is best to get calcium from plant-based foods such as calcium-fortified juices, cereals, breads, some kinds of vegetables, and some types of beans. According to Ayurveda, improper diet and lifestyle leads to aggravation of all three doshas. There is impairment of the digestive fire causing formation of toxins (ama) in the body. These toxins travel down the channels carrying urine. The aggravated doshaswith toxins cause its crystallization and leading to the formation of kidney stones. Ayurveda concentrates on dietary changes and also the use of diuretic and stone-dissolving herbs in acute cases. The system is then cleaned and strengthened using toning and rejuvenating preparations. Panchakarma therapy is a very effective means of cleansing the body internally in order to help it regain strength. 1 teaspoon of powdered preparation of equal quantities of the bark of three-leaved caper tree (varun), puncture pine (gokhru), thatch grass (kas) and horse gram (kulthi). 3-4 times a day with water. Soak 2 teaspoon of radish seeds in a cup of water, boil and reduce it to half. Strain and drink 1/2 cup of it twice a day. Note – You can add these Ayurveda remedies to our Indian Diet Plan for Kidney Stones. Studies have shown that the Dietary Approaches to Stop Hypertension (DASH) diet can reduce the risk of kidney stones. To prevent calcium stone eat less salt and ready to eat products or outside food. Consume enough dairy products to get daily dose of calcium. To prevent oxalate stone avoid dark green vegetables, nuts, and chocolate as much as possible. As they are high in oxalates. To prevent uric acid stones, cut down on high-purine foods such as red meat, organ meats, and shellfish. Follow a healthy diet that contains mostly vegetables and fruits, whole grains, and low fat dairy products. Limit sugar and alcohol because it can increase uric acid levels in the blood. No crash diets. Eat a balanced diet that is moderate in animal protein like chicken, fish, and eggs. Excess protein may trigger kidney stones. Increase daily fiber intake. Include whole grains, millets, oats, daliya and variety of fruits and vegetables. Drink lemonade, its vitamin C helps to prevent kidney stones. More needs to be known about various foods and beverages and their impact on kidney stone formation. Hydration is the key. Ample amount of water, a correct diet and a thorough knowledge of foods is required. Following the above mentioned Indian diet plan for kidney stones will definitely help you in finding relief in your pain and treating your stones. Please feel free to ask us your query by leaving a comment below. We would try to revert to you at the earliest. Hello,I have just read your blog and this blog is awesome and very effective.Thank for sharing. My mom had kidney stone in both side. She is having ureter contraction as well. Can you please suggest diet for her? the above mentioned diet will help. 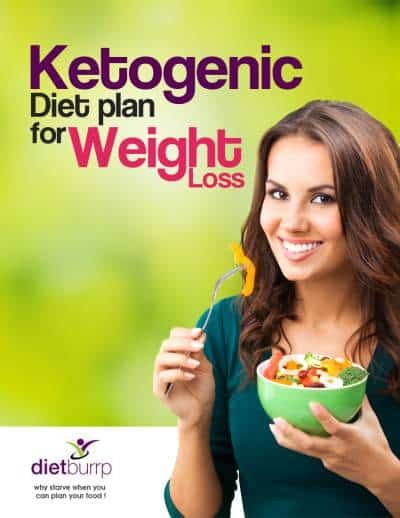 do you have a diet plan for some other ailments like piles, diabetes etc? is there a blog for this? 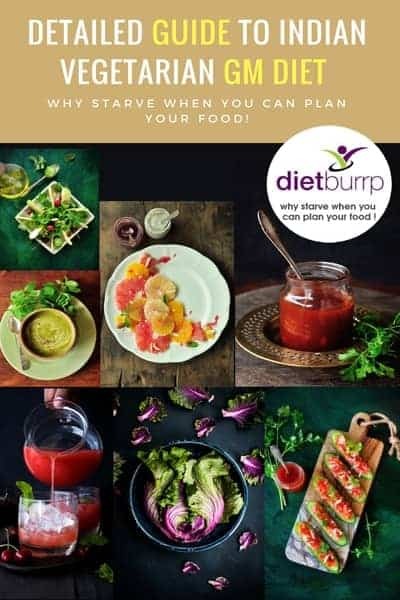 yes we do have ..
1] diabetes – https://www.dietburrp.com/?s=diabetes this is the diabetes segment , you can browse through topics and see what suits your requirement. Thanks for the information. I am Indian and vegetarian. Can you please tell me which grains are good for low oxalate diet? My son is on gluten free diet, so please suggest me all grains he can eat for his low oxalate diet. My mother having kidney stones on both sides which is large and she had undergone operation twice but not yet cured. Now, she can’t undergo any more operations as she is weak. Can yo please suggest a strict diet that ultimately helps to dissolve the stone. It will depend on the size of her stones . It zeros down to drinking a lot of fluid / water / coconut water / buttermilk and she can have kulith dal and bamboo shoots / kamdamulaa , these wil help her if it can be taken care by diet ( depedns on stone size). Also , try homeopathy treatment . i have seen it working wonders in a lot of clients .